I’ve had the most gloriously relaxing last couple days. I haven’t gotten much done around the house other than reading, editing, and writing, and I feel guilty…but oh so right. He was probably wondering what took me so long to slide back into our daily groove. He didn’t seem to have as many problems cuddling right up to his position beneath my chair. Doesn’t he look content? After writing an accidental 5000 words (when, really, I was just editing and cleaning scenes up and adding little things here and there), I decided to take a break and read a bit. 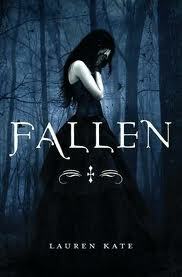 I had never heard of Fallen until I walked by the gorgeous cover in Borders a few months back. I stopped in my tracks. Picked up the book. Stroked the cover. (Oh yes I did.) And then I put it back on the shelf. I was still deep in the conflict of Immortal, Beloved and I can’t usually read any one else’s work while writing my own. I thought I’d pick it up again once I was finished writing my own novel. But the premise of the book stayed with me. The idea of a guy (later known to be a fallen angel) walking the earth for eternity, waiting miserably for his soulmate to return to his arms is so…romantic. Torturous, yes, but those times they get to be together? Heaven. The idea that they CAN’T be together, yet are still pulled to each other like magnets was enticing. Soulmates. I can tell that they’ll be together eventually, and just can’t wait to see how that plays out. I’m already IN the story and I haven’t even picked up the darn book. So guess what? 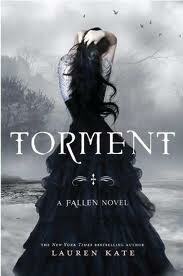 I asked for the second book in the series, Torment, for Christmas. Imagine my surprise when I actually got Torment! Using the few days after Christmas as wonderful vegging/de-Christmasing time, I picked up Fallen and glided through its pages. It’s so lovely in so many ways but the connection between the hero and heroine are what had me hooked. Ever felt pulled to a person and have no real reason behind it? Like the middle school crush on the jerk that you know isn’t going to play out but you can’t stop staring at him over your lunch table? Yeah, that’s what these two are all about. I read the book in two days (all 460 pages) while still managing to plug away at my own novel (which was a first for me). I put down Fallen. I picked up Torment. 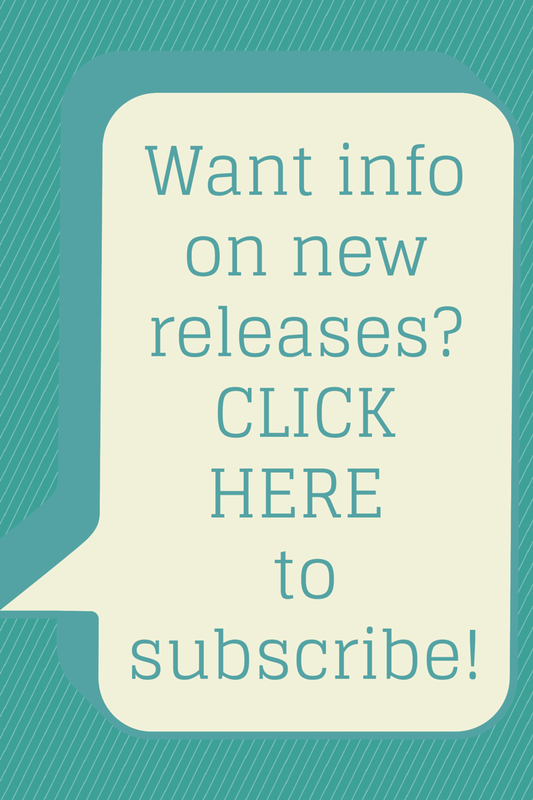 And now I can’t wait to read Passion, the third book in the series, when it comes out this summer. I’m about 50 pages from the end of Immortal, Beloved. The heroine has been kidnapped. Vampire elders have already been slain. The hero just realized his destiny…and hers…and realizes that although he’d give his life fighting for her in this final battle, once she’s safe they can’t be together. Steep price to pay for the sins he’s committed. And the hero and heroine from the third book in The Crimson Bay series, creatively titled “Third Book in the Crimson Bay Series” have just met. Sparks are flying. She hates him. He’s hooked. Ah, I love this writing gig. Hope your holidays were great! This entry was posted in books, Fallen, writing. I read Fallen earlier this year. Good book, beautiful cover. I need to pick up Torment and dive back in. Just need to find the time!